Canada unveiled the new Canada Food Guide this year, surprising people with its vast differences from previous models. The guide redefined the Canadian perception of a healthy diet. The new food guide puts equal emphasis on the social aspects of eating. Food is a powerful social tool so Canadians are encouraged to improve their lifestyle by enjoying food and eating with others in classic UWAFFLE style. The guide emphasizes the importance of making time to enjoy meals proving that being a food lover is healthy. People who enjoy food tend to taste flavours, become open to trying new foods, and develop a more healthy attitude towards food. The new food guide explains that food is a personalized adventure. The makings of food enjoyment are not the same for everyone. Food changes to match each person’s taste, culture, budget and lifestyle. UWAFFLE’s passion for exploring new foods is another form of food enjoyment. The guide recommends trying new food to add a sense of wonder and adventure to eating experiences. Food enjoyment is linked to the atmosphere around eating. Positive eating environments make meals more satisfying. These settings are best achieved by eating with others. Hanging out with friends or going out on dine-outs to eat is proven to actually be quite healthy. The guide points out that putting aside busy schedules is the key to enjoying meals with others. Eating with other people requires making a plan or following the plan of someone else. The guide recommends taking time eating and putting away all distractions to take full advantage of the chance to connect with other people. So take some time from your busy schedule every now and then to enjoy food in others’ company. Every year for Valentines Day, I like to make something for my boyfriend. One year I made mousse encased in chocolate, another I made truffles. This year I am making amaretto brownies and chocolate bark. Of course, since I’m writing this nearly a week before Valentine’s, I’m not making the brownies quite yet, or else they would just be stale and dry by the time Valentines comes around, and no one wants that. Really, cutting any baked good into a heart can make it festive, whether it be cookies, brownies, blondies, or even the chocolate bark I’ll be showing. But I won’t be doing that. Chocolate bark is a very simple gift that is known well as the last-minute, go-to gift for Christmas, but it can be made for any holiday or occasion. This recipe utilizes both dark and milk chocolate, red coloured white chocolate discs, cinnamon hearts, heart sprinkles, and freeze dried raspberries. Of course, this can be made with any kind of chocolate and toppings. I got my freeze dried raspberries from a box of Oatmeal Crisp Triple Berry, because I could only find them for 20-30 dollars with shipping online, and no where in stores. Freeze dried strawberries are much easier to find, but the person I made this for loves raspberries and I like the cereal. For choosing your chocolate: really, any chocolate can be used. Although the person I made the bark for loves milk chocolate, I personally think it’s too sweet when you’re adding sprinkles and white chocolate, so I used a bar of both dark and milk chocolate. I realized after I made it, though, that more milk chocolate could have been used for the person I’m making it for. The same goes for the thickness of my bark; it should have been made thicker. But hey, you live and you learn, and the bark still tastes good. About 2 to six tablespoons of each kind of toppings you would like, depending on the number of toppings and how much you want on the bark. I just measured by eye, and you can do that as well. The instructions for making chocolate bark is simple; break up the main chocolate you will be using into a microwave safe bowl, and microwave in thirty second intervals, stirring in between until the chocolate has melted. Once it has melted, pour and spread it onto a baking tray lined with parchment paper. Aim for about a centimeter or a quarter of an inch thick bark. Mine is about half that thinness, and it’s a little too brittle and sensitive to heat. If you’re adding coloured chocolate, melt that in a microwave safe bowl in the same way as the main chocolate, and once melted drizzle it onto the still liquid chocolate. If you want to, drag a knife or a toothpick through it several times both horizontally and vertically to give it a more interesting look. After, you sprinkle your toppings and let it set. It’s best to let it set at room temperature, but it can go into the fridge for a little to help set if you need. Once it’s hardened, break into pieces and voila! A festive valentines bark! There is a belief in Hindu philosophy that certain foods carry vibrations. This relates back to the theory of the three gunas. The idea behind the gunas is that all things in the universe arise from prakriti the primordial energy. In prakriti the three primary gunas (sattva, rajas and tamas) emerge creating the essential aspects of nature, energy matter and consciousness. Tamas is the state of darkness, inertia, laziness, inactivity and materiality. Tamas manifests from ignorance and deludes all beings from the spiritual truth of their being. Rajas is the state of energy, action, change and movement. Attraction, longing, and attachments bind us to the fruit of our work. Sattva is the state of harmony, peace, balance and intelligence. The mind’s psychological qualities are highly unstable and can quickly fluctuate between these three gunas. These gunas exist in various degrees amongst different human beings and can be altered depending on your lifestyle and activities. This theory extends to even the food we eat, because what we take into our body affects us physically, mentally, emotionally, and spiritually. Tamasic foods include meat, poultry, fish, alcohol, intoxicants, and foods that are over processed or rotten. They also believe that foods that are prepared by a person unconsciously or in the state of anger or in a negative mood can make the food tamasic. The result is that inertia sets in, and one’s mind is filled with negative qualities such as anger, greed, and jealousy. Rajasic foods would be food that’s hot, bitter, sour, or dry. Examples would be spices, onion, garlic, tea, coffee, soda, chocolate, pickles, etc. This kind of food excites the mind and provides energy to the body to perform tasks that need to be accomplished. Sattvic foods are fresh organic fruit or vegetables, whole grains and nuts, milk and butter, and beans and lentils. It is fresh food that draws energy from the earth and nourishes the body, helping the person maintain a peaceful mind. It helps in maintaining good health and longevity. If you would like to learn more about the nature of foods and how it affects the quality of your mind, I encourage you to consult an ayurvedic doctor. They can help recommend a suitable diet based on your body type. You can even experiment with different foods based of the categories I’ve told you about and see how you feel. In future articles, I’ll write more about Ayurveda and nutritional tips you can use. Looking for Some Fine Korean Food? Try out Kimchi Korea House (149 Dundas St. W, Toronto, ON), a restaurant specializing in Korean food! Although their food might be pricier (around $13 – $30 per dish) than typical Korean restaurants, they have radical dishes worthy of raving about. I went with a friend of mine, and although we did take some time to order, they were very patient with us, even with a full house. There were six banchan (side dishes) served at the beginning which is the standard number (of side dishes). Usually, a Korean restaurant has the occasional 3 types of bibimbap (rice dish topped with other veggies and a protein), but this restaurant has it all. From beef to eel, they serve 10+ different bibimbaps, which is phenomenal! Here are some pictures just to show. The food took around 10~15 minutes and, obviously, tasted amazing. Did I mention their extraordinary service? Yep, their service was amazing. When our cups were empty, they immediately came and filled them back up with water and checked up with us to see how we were doing every now and then. My total came up to around $30 with the salmon bibimbap and tteokbokki (spicy rice cake), and my friend’s came to around $20 (all including tips). I have been making squash soup every fall for the past three years. It has become somewhat of a tradition of mine to make a large batch some time in fall, since to me it encompasses the Fall flavours and feelings. Sweet, earthy and spiced soup is a welcome warmth in the chilly Fall weather, and a great way to get into the Fall spirit and make enough meals for at least a few days. I find I typically make enough for 6-8 meals, depending on the amount of squash I use, and usually costs about fifteen dollars. Most of it for the squash. I typically just use whatever spices and seasonings I feel like using that I already have in my pantry. This recipe is how I made it this year, but I encourage you to use whatever herbs and spices you have and like. This is commonly made into a soup on it’s own. It’s sweet and has a slightly buttery flavour. If you only want to use butternut, I would recommend that you use only two for this recipe, as they are quite large. One of my favourites to add, since it’s more savoury and nutty in flavour. I find that it has a different taste than most other squash I have tried, so it adds a savoury note I enjoy. I used the outside of the acorn squash I used as the bowl in the picture. I tried this kind just this year and it’s great. Sweet and creamy, and has a slight nutty flavour. It tastes almost identical to sweet potato! This one is also really pretty to hollow out and use as bowls. Preheat oven to 400° F or 205° C.
Wearing gloves, halve and de-seed the squash. Place squash on parchment paper or foil lined baking sheets. Brush squash with oil and sprinkle salt. You can also add other spices here, like cinnamon. Roast until you can pierce the flesh with a fork with little resistance – approximately 40 minutes to 1 hour (larger squash, like butternut). Meanwhile, finely chop onions, mince or grate garlic, and mince the sage. When they are roasted and cool enough to touch, scoop out the flesh into a bowl. Heat in a large pot on low/medium. Add spices and toast, stirring constantly until fragrant – about 1-2 minutes. Add oil and onions, cook until onions are soft, about 10 minutes, stirring often. Add the minced garlic, sage, and thyme. Cook for another 5 minutes. Move onions, 4 cups broth, squash, maple syrup, and yogurt into a blender, or into the pot if you have a hand blender. Pour back into pot, or turn heat back on, and heat thoroughly. Serve and store the rest in a resealable container in the fridge for up to a week, or in the freezer for up to two months. This is your soup! You can change the seasonings however you like. Don’t have smoked paprika? Don’t use it. Don’t have any maple syrup? You don’t have to use it either. Many squash are sweet on their own. Want to add a spice or herb I didn’t mention? Go ahead and put it in. As for the amount of broth, this will make a very thick soup, which I prefer, but you can add as much broth or water as you please. Have fun with the recipe and enjoy it! Waterloo is one of those places where the population dictates what’s available. And the staples of the Waterloo diet is food (generally either free or Asian food), late nights, proximity to campus, and entertainment. Crossroads fulfills all of the above criteria. Back in my first year at Waterloo, I went to Crossroads’ opening night. I still hold on to the stamp card from that night with pride. But over the years, Crossroads evolved. It went from just having appetizers and a menu written on paper to being a full fledged cafe. Here’s your guide to crossroads. First, check in on Facebook. If you look at the front page of the menu, they’ll give you a free scoop of ice cream if you do. Be sure to claim it. Next, a few food reccomendations for vegetarians (as I am one). First, they have a specifically veggie sandwich. It’s stuffed with veggies, cheese, and jalapeno aioli. Not a fan of spice? That’s fine. There’s also the regular grilled cheese or the tomato grilled cheese. The sandwiches come with chips (all dressed or regular) or a salad (in case you feel like being healthy. I didn’t. Lol.) and your choice of ketchup or chipotle. I personally love their chipotle. It’s both sweet and spicy, to just the right degree (in my opinion). Not there to eat a full meal? That’s fine too. They have a bunch of appetizers and snacks. For a sweet tooth, try their candy bowl. They can make it peanut free, or you can choose to add peanut m&ms. It’s the same price. Just do what works best for your playing group. If you’re feeling more savoury, I reccomend their spinach dip and hummus platter and samosas. Their cold spinach dip is great, and if not everyone in your group is feeling the dip, there’s roasted pepper hummus too. Choose whichever and split it amongst the group. You may or may not order more, prewarning. As for the samosas, they come with a sweet yet spicy sauce, which you can choose if you’d like to try on your own. I personally reccomend it. Next, let’s move to drinks. Their milkshakes are good, but let’s be honest. This is Waterloo, and they have bubble tea on their menu. Is it worth it? Yes. Bubble tea is always worth it. They have jellies and tapioca. However it contains milk, so if you’re lactose intolerant, see what they can do for you before ordering. And if you need caffination, my friend gave their approval for the hot drinks. I’ve always had an appreciation for spicy food, but this was the year where I really pushed my limits. I’m sure many of you claim to love spicy food. But then again, do you REALLY love spicy food? Don’t tell me that your love for spicy food comes from that one hot cheeto you ate in your trip to the States, or the hot sauce packet that comes with your Popeyes takeout. Here’s my short journey to building up spice tolerance with actual, tongue burning, gut-wrenching spicy foods. Keep in mind, they’re listed in ascending order as well! I started off as any respected beginner with the Spicy Ramen Challenge. If you don’t know what I’m talking about, a quick Google search will do. Samyang’s spicy ramen looks like any other instant noodle package and should be available at any Asian supermarket. Finish an entire bowl of this Ramen without water or milk in between, and you should be good. Over time, this wasn’t a challenge because even though it’s tongue-numbing spicy, the Ramen sauce is wonderful and I ate the noodles on a regular basis. I had overcome the Spicy Ramen challenge, but was I ready for more? Next, I moved on to the Kenzo Level 3 Spicy Ramen Challenge. Find any Kenzo’s noodle restaurant, ask for Level 3, and you will be met with warnings. I do recommend doing the previous levels beforehand unlike me, who went in expecting a surprise. This ramen is not for the faint-hearted and will definitely take time getting used to. The soup was a toxic and red sludge of pure chili, and the actual noodles were my only solace. If you have done the Spicy Ramen Challenge before, the Kenzo’s Level 3 would be 2.5x spicier in my rating scale. Be warned. Folks , here is a gem. Kismet Restaurant in Waterloo, Ontario has one of the spiciest dishes I have ever eaten. The server really wasn’t joking. I suffered after Kenzo’s, but the Kismet Chicken Bangalore was what I would call “God Tier”. Your throat crackled and burned with every dip of your naan into the spicy chicken curry. One could build a tolerance to it, but this curry is DEFINITELY not for the spicy beginner. I’m keeping my experience short because if you do feel brave enough, it’s worth experiencing yourself. Now, the unique moment I’ve been waiting to share: trying the spiciest chocolate in the world. Unfortunately, I couldn’t get down the brand because a friend had ordered it online but if you are curious, please let me know! The tiny chocolate bar was a rectangle about half the size of my phone screen. It was cut into even more tiny squares which really screamed: “YEAH THIS IS POTENT!”. As soon as I put a tiny 1cm x 1cm piece in my mouth, fireworks went off. It had the taste of Kismet’s curry times ten but packed into a tiny piece. If I had mistakenly taken a bite out of the whole chocolate bar…well, I don’t want to go there. Either way, this is the spiciest item on my list and I only recommend a tiny piece. The only relief was that it was a chocolate bar and I could still taste a hint of sweet amidst the spice. Right after eating the chocolate, I drank a whole glass of milk and had to run my tongue under cold water under the faucet. I plan to add much more to my list as I don’t see my love for spice ever going away! All I can say is, stay tuned. Morning classes can be hard, especially when it comes to having breakfast. If you aren’t up two hours before you leave for class, figuring out what you’re going to have to fuel your body for the day can be difficult. Most quick options tend to be expensive, unhealthy, or both. But I have a breakfast that is a go-to for mornings where I need to leave and forgot to make something the night before, or planned out the night before just to make things faster in the morning. That breakfast is chia pudding. Chia is well known for being a super food, each serving containing 7 grams of protein, 14 grams (or 56% of your daily need) of fiber, and 25% of your daily need for iron and calcium. It also happens to be a great thickening agent to make healthy pudding with. You might be thinking of the chia pod which has hit the market as a healthy snack or meal on the go, and of how expensive they are. And yes, at 3-5 dollars per pod, they are expensive. But, like so many other things, chia pudding can be made at home for a fraction of the cost. And you can use a reusable container rather than creating more garbage by buying a pod. To make chia pudding, of course you need chia seeds. When I first found this (before I had ever heard of chia pods) I thought that they would be expensive. And I was wrong. For a 454g bag at Walmart, I paid less than $3.50. Now of course the price varies on where you buy it for a small bag, but if you don’t go somewhere like a health food store, it shouldn’t be very expensive. The important question here is how many servings of chia can you get out of a bag? For me, the 454g bag gets me about 10 servings of pudding. So just the chia seeds themselves cost me only about $0.35 per serving, and everything else involved in the base pudding are ingredients common to Canadian kitchens. Now, on to the important part: the recipe. Now, this recipe is the altered version that I use because I prefer mine to be less sweet, but of course you can add more sweetness as you like. Mix all ingredients but chia seeds until well combined then mix chia seeds in well. Let set for 30 minutes to overnight (though if you let it sit for longer than 45 minutes, mix it so the seeds don’t clump at the bottom. You will be thankful later.) Top with anything you like, and enjoy. There are a near endless amount of additions you can make to the mix itself to add flavour from spices or cocoa powder, to other extracts and pureed fruits. I myself almost always add cinnamon to it. As for toppings, those are nearly endless too. For a quick on-the-go breakfast, cut up or frozen fruit is fast, smoothies, and banana ice cream are great ways to add fruit. The puddings shown below are (left) the base pudding with cocoa powder mixed in first, and topped with banana ice cream and (right) the base pudding recipe topped with pureed cranberries, strawberries and ginger with a touch of honey. I myself only use about 1 teaspoon of sugar to the base since most of the sweetness comes from the toppings, and I like it better with less sugar. Side note: banana ice cream is just bananas broken up into smaller pieces, frozen, then blended in a food processor until smooth. It also makes for a great dessert. This as well you can doctor up with flavourings. I guess I should give my opinion on chia pudding, and what the experience is like. Obviously I like it, or else I would not have done this. But some advice I can give when making it is to taste the milk mixture before adding the seeds, and to start off with less sugar and flavourings and add more as you go. The very first time I made it, I added the original recipe’s (I cannot find the one I used, I think it was just a link I followed one time) 2 tablespoons of maple syrup and it was nearly inedible. Thankfully it was easily fixed by adding in more milk and seeds and letting that sit. As for the experience, it is very similar to rice pudding, but crunchier. So if you aren’t a fan of having bits in a creamy pudding, I probably wouldn’t recommend this. As students, we have very little money to work with after paying rent, utilities, internet, phone bills, credit card bills, etc. And after all that is over and done with, we’re left with grocery shopping. If you’re like me, you might be wondering how deep your next month’s payments might leave you in debt, and what you’re gonna be able to scrounge up in order to buy food. Well, I’ve got some apps you might want to look into! There are plenty of apps out there for those of us who make our own food. These generally fit into two categories: the grocery store loyalty apps, and the receipt refund apps. 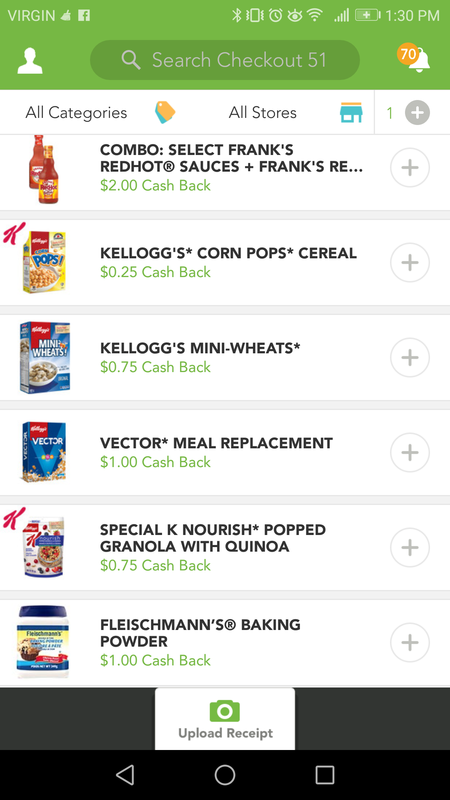 For grocery store loyalty apps, you first need to sign up in-store. For example, the PC Plus app. 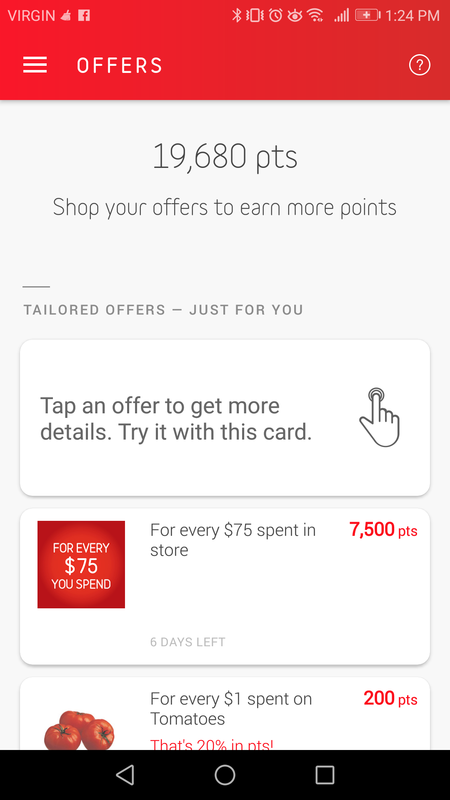 This app lets you collect points at your local President’s Choice stores for getting groceries. The more you buy things it suggests, the more points you accumulate to get discounts for later. This comes in helpful for when you don’t have the money for food due to things such as going over your data plan, having spent more money than you expected last month, or even just getting sick for too long and losing out on work hours. These kinds of apps are highly intuitive and can tell what kinds of things you generally buy. Unfortunately, they will also suggest to you new things that you will want but may not have the money for, so be careful. Next are receipt refund apps. 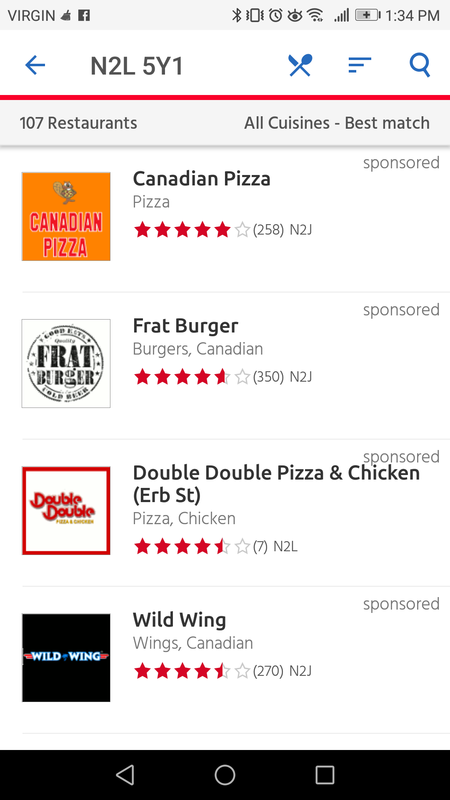 These apps allow you to buy specific brands of food and be refunded for them later. An example of such an app is Checkout 51. 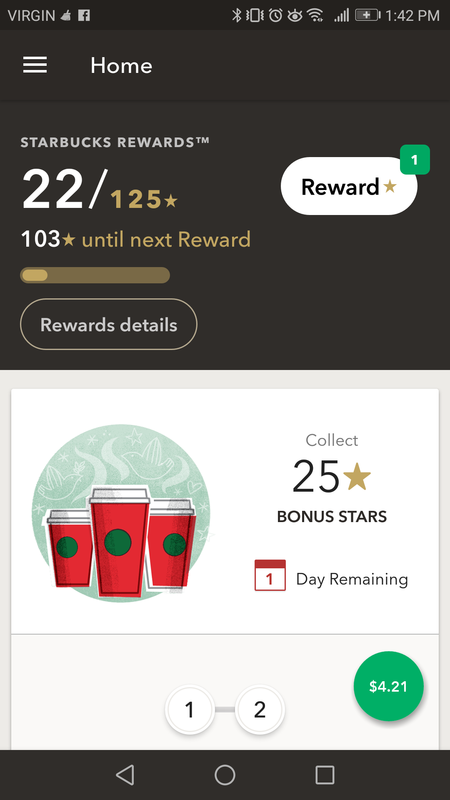 All you need to do in these apps is indicate which offer you are redeeming money for, take a picture of your full receipt, and send it. After you accumulate enough money through offers, you can get them to send that money to you via cheque. This generally requires a minimum of $20 redeemed. Warning, not all apps claiming to be legitimate are. Look at reviews and decide which you’d like to get. Next, let’s look at apps for those of us eating out or ordering in. For those of you ordering in, there are a bunch of such apps popping up recently. For example, UberEats or JustEat. 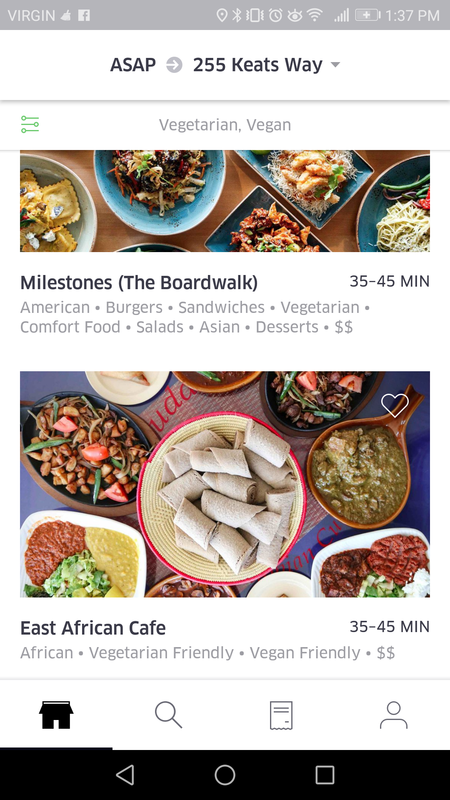 These allow you to order from participating nearby restaurants and get cheaper delivery costs. And finally, the loyalty apps. 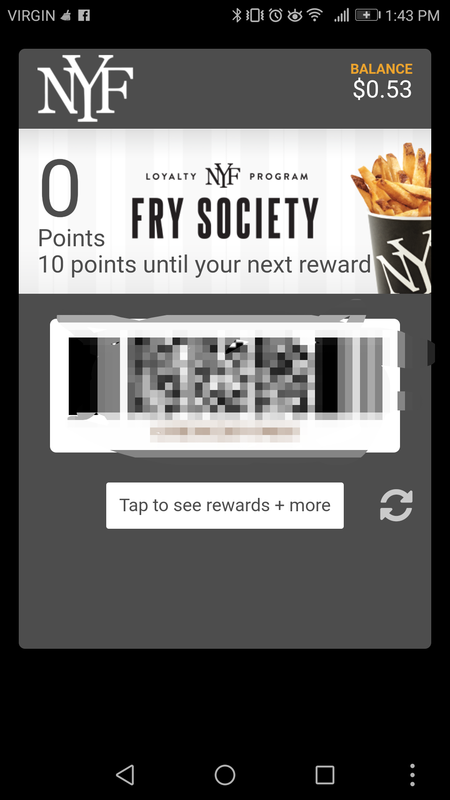 Loyalty apps allow you to skip the line or get points at places you go to. For example, Starbucks, New York Fries, or Tim Hortons. These are handy only if you actually go to these locations and have the money to load onto them first, but if there is one nearby, you can always save up some money on the app for when you truly need it. Now that you’re knowledgable about these different types of apps, go on and save to your heart’s content, and enjoy your meal! Can Cookie Dough Be Healthy? The short answer: yes it can! A few weeks ago I found a recipe for vegan cookie dough that’s packed with protein and low in fat. In fact, you could eat it for a meal, which I have on a few occasions. It’s high in fiber and protein from the chickpeas and peanut butter, making it healthier than other acceptable breakfast foods such as cinnamon buns and waffles. ⅓ cup of chocolate chips. On my first time making it, I decided to follow the directions exactly. The recipe called for removing the skins of a cup of chickpeas which was easy, but also time consuming. You then dry them and combine it with the agave, peanut butter, and vanilla in a food processor and blend. Once it’s a dough consistency and free from chunks, you remove it and mix in the chocolate chips. My opinion? It was great! It tasted pretty close to actual cookie dough, and after I had peeled and dried the chickpeas, it took only a few minutes. I would recommend draining and rinsing your chickpeas prior to using them as it helps get off any excess salt and can cut down on the chances of it coming out gummy. As well, on my second attempt making this, I wanted to see what would happen if I didn’t peel the chickpeas because it was tedious. The result was exactly the same, though I would pulse your chickpeas until they’re ground up before mixing everything else in if you do this. However, the change is about fifteen minutes less peeling and maybe two more minutes of pulsing. As well, I cut back some of the agave nectar so it wasn’t so sweet. Add ½ -2 tablespoons of cocoa powder while blending, depending on your tastes. That’s it. Add a little more agave if it isn’t sweet enough. Bonus: sprinkle cinnamon sugar on top when you eat it. It gives more of the snickerdoodle texture. Have fun with different ideas, there are probably a ton of other variations that would work that I didn’t think of or mention. Substitutes for peanut butter: I would recommend using sunflower seed butter or soy nut butter as they have similar textures and flavours, so they won’t overpower the dough. I wouldn’t recommend almond butter at all unless you want it to taste like almond. I made that mistake in my double chocolate variation. Substitutes for chickpeas: any pale bean will work for any variation, and in the video black beans were used for the double chocolate so those can probably be used if you choose that version. Substitutes for agave: I haven’t used any of these as I have agave at home, but maple syrup and honey are both good substitutes. I’m not sure if I would recommend a granular sugar of any kind just because it might end up making the dough grainy.